Regardless of how you pronounce it, there's little doubt that Artem loves his gifs. Ha! The man's entire Google+ feed is essentially a scrolling list of various gifs so much so that I've come to doubt that he has a secret stash of gifs saved and meticulously organized in some folder somewhere that he rushes to each time he needs to express an emotion. Any emotion. He has emotions, he's not a robot you know, even if some of you have your doubts. Alright so this post is for Artem but also for those of you who share with him this excessive love of gifs and animated image thingies. 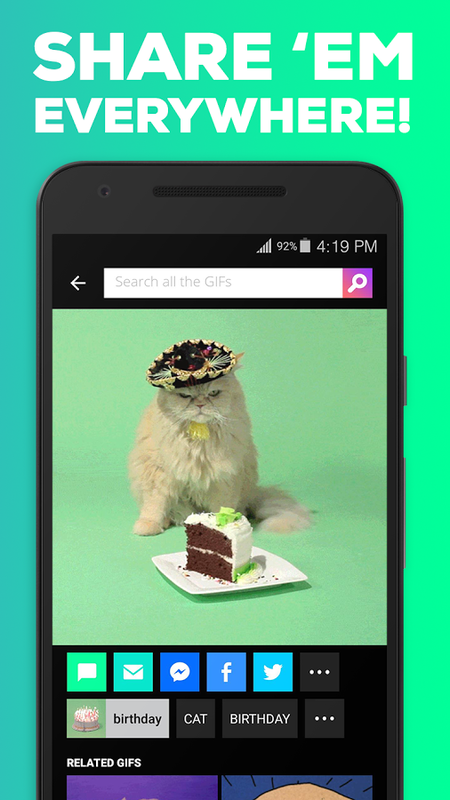 Giphy, one of the internet's largest sources of gifs, has finally released a full app on Android. Giphy already had a pseudo-app, Giphy for Messenger, which was a Facebook Messenger plugin. Now that application is getting updated to a standalone app, losing its "for Messenger" monicker, and getting a better "All the GIFs" title addition. 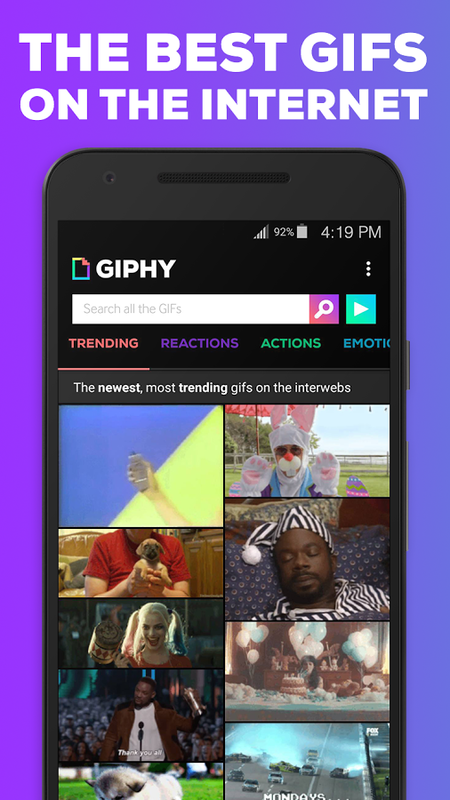 The app lets you search through Giphy's entire database, browse through categories, and then save the gifs you like or share them to any app. 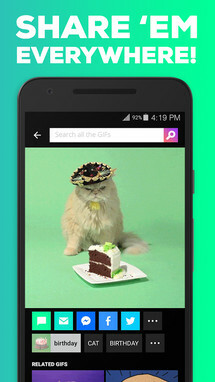 The reviews have been a mixed bag though, citing issues and a low resolution of shared gifs. There might be some bugs still to fix in a future update. 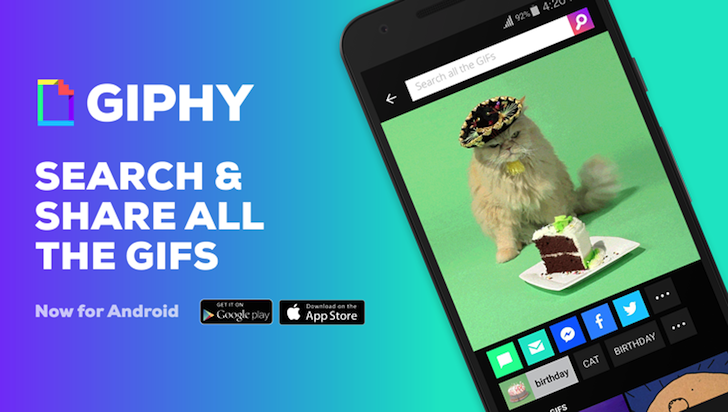 If you already have Giphy for Messenger installed on your device, your app should update to the new full Giphy in a couple of days or so. If you don't, you can grab it from the Play Store link below.